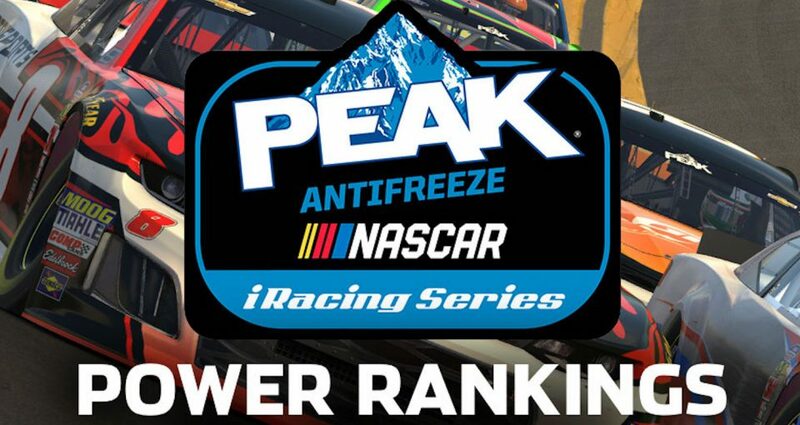 Racing for actual NASCAR teams and professional esports organizations — and not to mention a six-figure purse — the eNASCAR PEAK Antifreeze iRacing Series continues its 2019 campaign at the virtual Texas Motor Speedway for the fourth race of the season Tuesday, March 26 (9 p.m. ET, eNASCAR.com). Independent rookie Eric J. Smith shocked everybody with a last-lap pass to win at Auto Club Speedway in the new aero package. It was not only Smith’s first lap led, but also his first finish better than 20th in his three career starts. Still top-10-less, the Joe Gibbs Racing rookie hasn’t finished worse than 13th after three races in 2019. Nick Ottinger led laps at Auto Club Speedway last week and he’s won at Texas. It’s not unreasonable to think he could get the job done for JTG Daugherty Racing on Tuesday. Despite missing Daytona, Logan Clampitt hasn’t skipped a beat in his return. He’s not too shabby at Texas, either, with a 7.3 average finish in three starts. Coming off a top five at Auto Club Speedway, Matt Bussa makes his 100th career start at Texas — though he’s never finished in the top 10 in six starts. The four-time champ finally scored his first top-10 finish of 2019 at Auto Club Speedway, but he’s got work to do to get into playoff contention. The Wood Brothers Racing driver has won twice at Texas — back-to-back in 2011 and 2012 — and finished runner-up twice. Even though Jimmy Mullis hasn’t finished worse than ninth so far in 2019, Texas Motor Speedway has been a trouble spot for the Richmond Raceway eSports driver — he’s never finished better than 31st. JR Motorsports driver Michael Conti has scored 10 top-10 finishes in the past 11 races, and he’s finished runner-up twice at Texas. He’ll contend for a solid finish Tuesday. There’s a magic number for Joe Gibbs Racing’s Bobby Zalenski heading into Texas: 4. He finished fourth this year at both Auto Club and Las Vegas, and his best finish at Texas is a fourth-place showing in 2017. Zack Novak’s 2018 average finish: 17.0. His average finish so far in 2019: 3.0. Roush Fenway Racing’s No. 6 is doing something right, though he’s never cracked the top 20 at Texas. There’s been no such thing as a sophomore slump in 2019 for Keegan Leahy — the only driver who’s finished in the top five in all three races so far. Leahy won the pole for last year’s Texas race and led 28 laps, but finished a disappointing 29th after running into trouble. Ryan Luza has led laps in all three races this year, and he’s the defending Texas winner, leading 106 of 167 laps last August. There’s no reason to expect anything different from the FlipSid3 Tactics No. 53 Tuesday.